With all the news, bickering, and controversy surrounding war, it’s hard for anyone to write about the people that serve. Side-steeping the topic and relating it to fishing is my goal here. Being memorial day and all I thought it would be a good idea to relate the two subjects. I think I speak for everyone when I say thank you to the people that have served in any war. To the people who go out and fight and die for ideals that some may not even fully understand, we wish you and your families all the best. 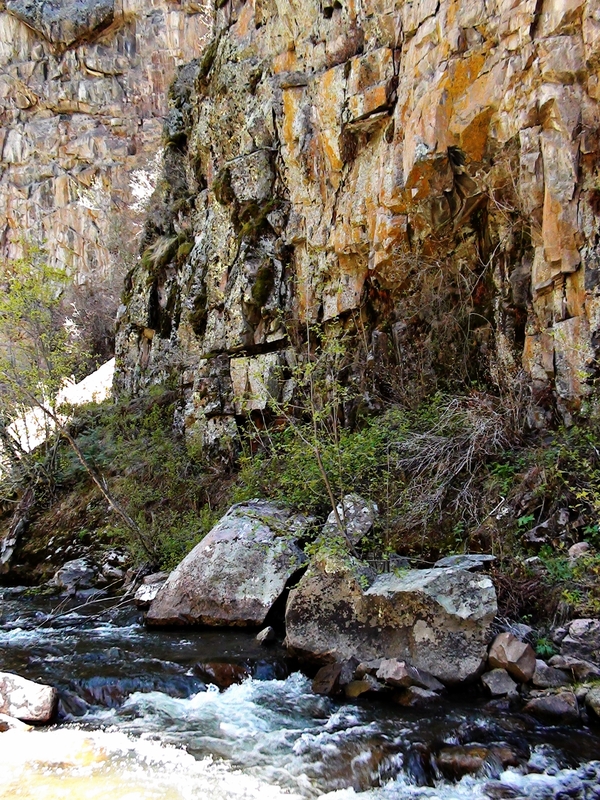 The “front range” of New Mexico is littered with tons of private land. When you hear “not the side that you get shot at”, when being directed to a fishing spot, the “front range” is that side. Well, it just so happens that all of the best fishing in the state is hidden over there. Guarded by fences, these property owners do not allow forest road easements to the national forest behind their land. This makes a national forest one giant back yard. 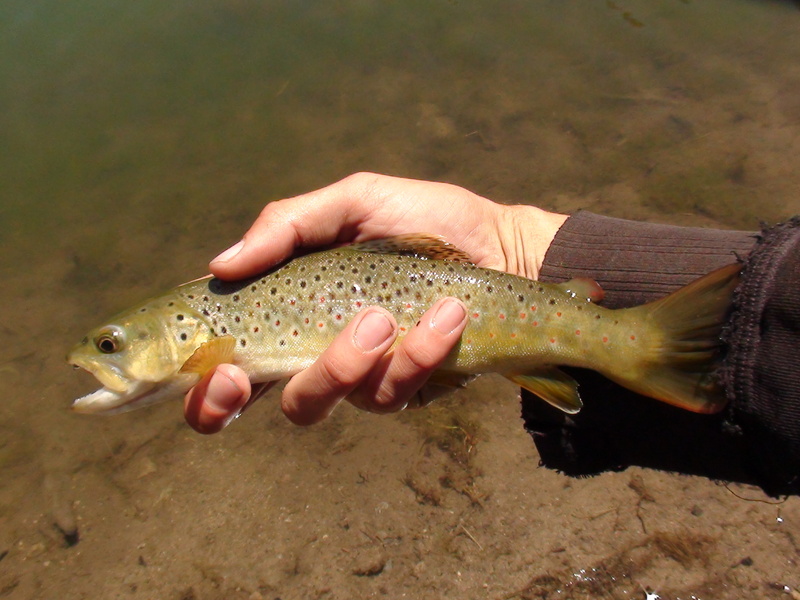 It also allows fish to massively over-populate streams and lakes in the area. Not just any fish either. 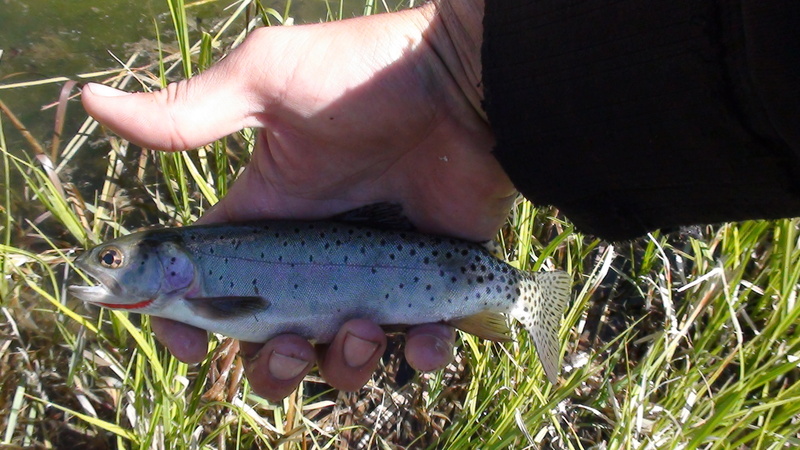 You may think that Brown, Rainbow, Brook, Gila, Lake, and Rio Grande Cutthroat are the only trout available to fishermen here. That is not the case. The Canadian river is not known for it’s trout. In fact, it takes the long way out of NM across Texas and Oklahoma to find it’s way to the Mississippi river and drains out to the gulf of mexico. 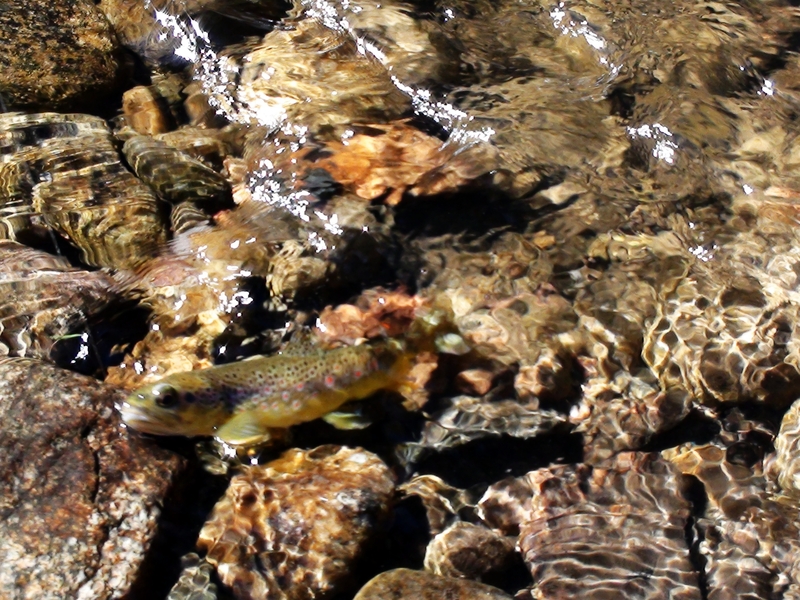 If you can imagine 5 million years ago, this system did in fact exist, but how did cutthroat trout get there? You guessed it, we put them there. There could’ve been a long lost fish, but I’m sure it’s long gone. At either rate, we still have a cutthroat on that side of the mountains. A cutthroat of the Snake River variety (if it was my choice, I would’ve gone with Lahontan, but who am I). 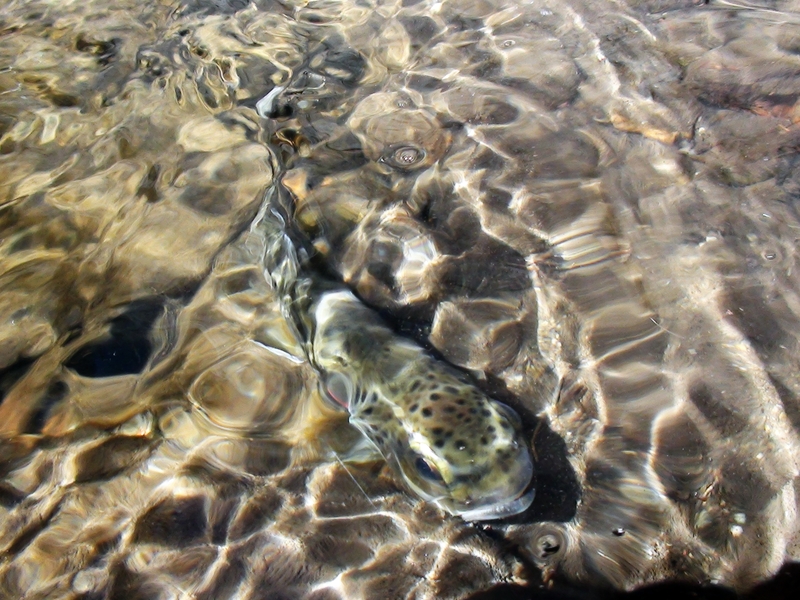 If NM Game and Fish read that, do it, there are no trout at risk here. This weekend I was out hunting for the unknown soldier. 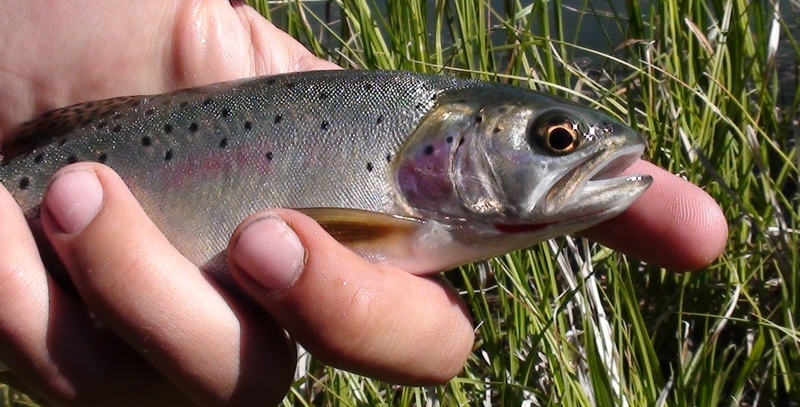 Snake river cutthroat can dominate a river system, they grow very quickly and quite large. State records are anywhere from 17 to 23 lbs. Ours is unknown. We do not differentiate sub-species. My personal best was about 3-4 lbs not huge, but big for a “wild” fish in NM. (see “A Foolish culmination of thoughts”) I was supposed to go to a lake in the back country, but the wind held me down. I ended up at a more local lake. A lake that is way overstocked for it’s size seeing at least 7,000 new fish this year alone. However, even though it is overstocked the fish still get very large very quickly. The morning of day 2 into the trip brought me an average of about 15″ from the fish put there directly after ice-out. The rainbows here are grayscale and boring looking, but what they lack in color, they make up in fight. I’m very sure these fish were raised on steroids and cocaine, or maybe they take after the local inhabitants of the lake. Due to the violent outbursts, I didn’t get many photos. This one really covers them all though… just plain silver. Feisty, and a pain to photograph. 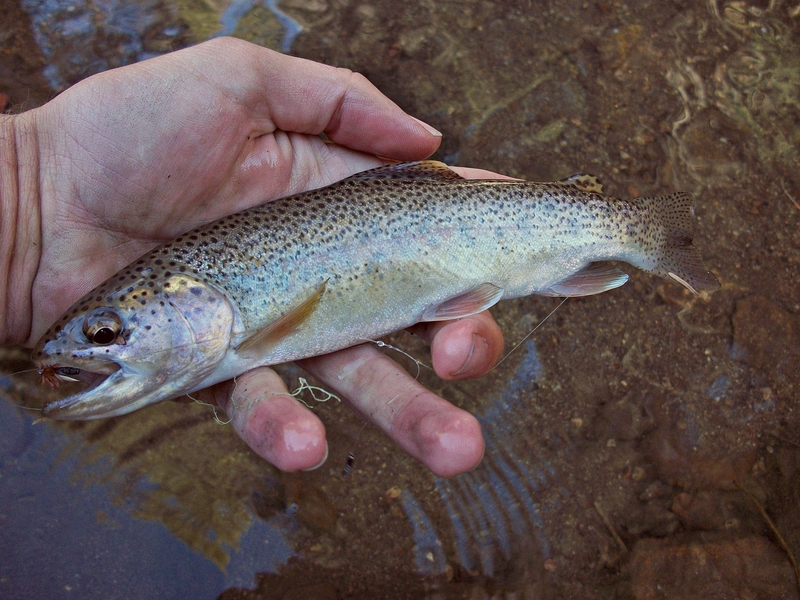 As for the cutthroat, it wasn’t a monster, but it was the only one I caught out of around 30 other fish that day. Hopefully people keep pulling stockers out with powerbait so when I return in the fall, I’ll have a better chance at them. Lesson #9: Sometimes the ambiguous Woolly Bugger works for no apparent reason, but somehow trout seem to recognize them as a food source. It was the 21st. May 21st. Day one of the end of the world. My bags were already packed to go fishing, unaware that this could be the last day. What a day to spend fishing though, right? Onward to the high country, 10,000’+ to be exact (yes, New Mexico has those too). All year my flabby x-mas muscles have been yelling at me to do some more extreme hiking than walking 50′ (or more than a mile) from my car. My newly arrived spare tire was also a big reminder that I needed to get up and go, taunting me with future fat jokes. Apocalypse bag. Complete with waders and boots attached. The time was 4:00 am. Just enough time to make it and hike down by sunrise. That would happen in a perfect world, thank goodness that things are never perfect. After a 3 hour drive over a road that should never be driven over in a car, I arrived at the “pitchfork”. From what I have heard, the section of water below “probably hasn’t been fished in 50 years”. I used the trail and hiked 1.5 miles into the canyon with so much excitement, I might as well have been skipping, I was already singing whatever song popped into my head. If a man is singing in the forest and no one is around to see him, does he make a sound? The wind was howling through the trees and I couldn’t hear if I was approaching the river. On a side note, this hurricane force wind stuff is really starting to get on my nerves. As the wind rang through my head, I repeated, “one more turn, it’s just around the corner”. There it was. Beaming in all of it’s glory. Showing granite floors through crystalline water. 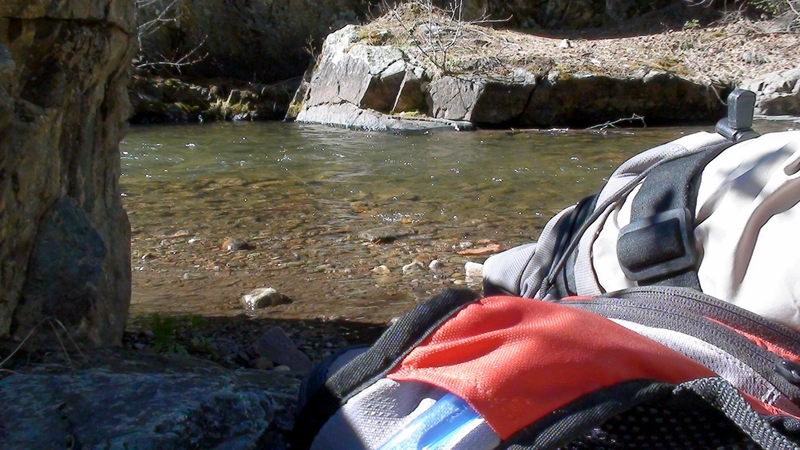 I sat down on a rock to catch my breath and peel the camelback, which seemed to take up a permanent residence, from my back. Told you the water was clear. This place was a utopia for me as well as the fish and as I began to flip rocks, it seemed to say oppositely for the fish. Rock after rock, the river was devoid of a food source. After a couple of seconds of having my hands in the water I realized the river had taken a very cold turn. 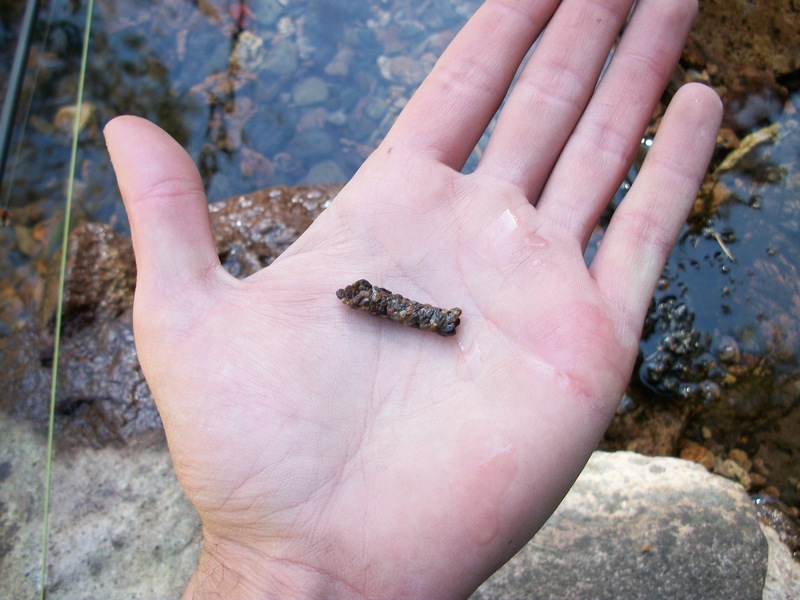 There is only one way to fish cold water… That’s right, tiny zebra midges. When I caught the first fish of the day on my first cast I felt like I was in the know. I fished up the river for 3 more miles. Three miles from where the trail ended. 3 miles of nearly virgin river. 3 miles of no sign that a human had been there since the migration barriers were set in place. Maybe that guy was right about this river. The water below his nose is around 6' deep. There is only one other place in the world that I have physically stepped on a fish, the San Juan. I didn’t do it on purpose, there are just so many fish there. Here was also the case. Too many fish. They were small, but very healthy for the most part and changed colors as did the river bottom. Usually, the color of a fish can tell you where it came from in NM. These fish had all sorts of oddities. Mostly they looked like they were wearing a black blindfold. I felt like I was about to be robbed. The black and white fin tips are notable and cool! 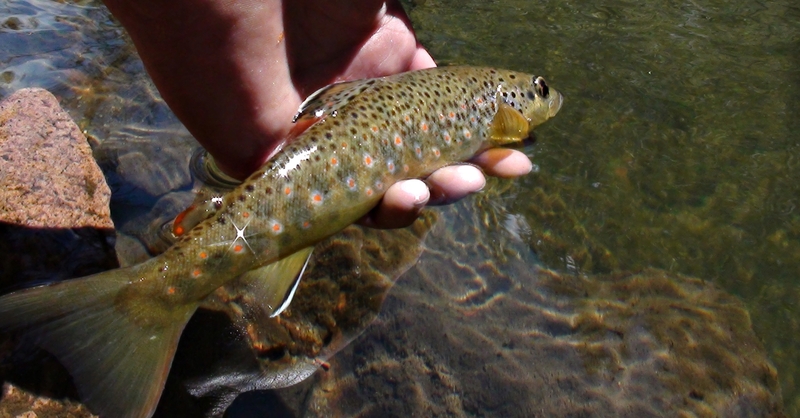 I was surprised with the amount of browns, not a Rainbow or cutthroat to be found. Then I saw a black back deep within a run. With a cast upstream the fly began drifting directly toward my hopeful goal. All of the sudden from nowhere fish began darting out to take my fly. It was hard not setting the hook, but I couldn’t afford to spook that fish lurking in the shadows. As the fly passed through the gauntlet of incoming fish taking and spitting the fly, the shadow took notice, turned left, and I set the hook. Sweet success. 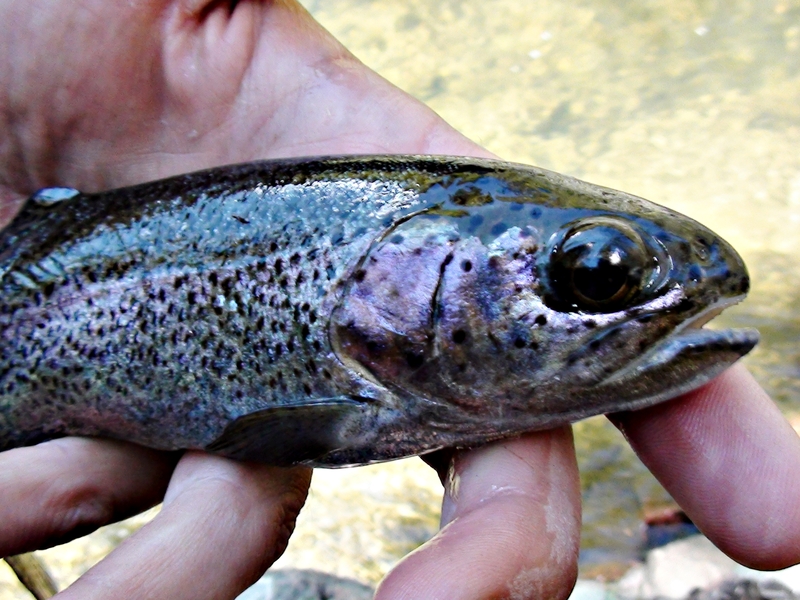 A rainbow trout. This fish was typical of the area. Deeply colored with an almost black underbelly and obviously washed down from the even higher sub-alpine. At the apex of my hike, I remembered that today might be the end of the world. What if it happened and I was the only one left. I wouldn’t know. Alone in the mountains is not the place to be in the know about what is going on in society. The sound of the river was almost deafening and thoughts were allowed to seep in. Back to the car, back to a possibly empty city. When I made it back to the actual trail I remembered how steep the incline was to get down, now I had to travel back up. 1.5 miles, 1700 feet closer to the sun. The hike up isn't easy. 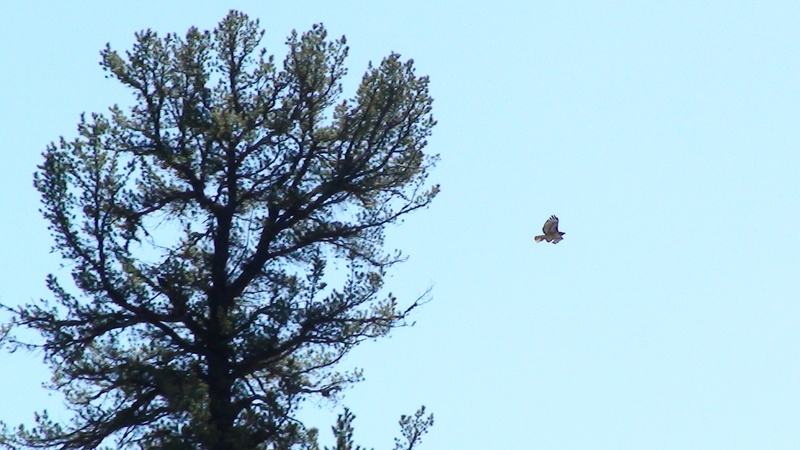 Going into the trip, I knew it was purely a scouting trip for early July. Just to fish the section of water I was going to miss on my way to my actual destination, 10 miles from where I hiked this day. A day to remember, the day the apocalypse never happened… again. 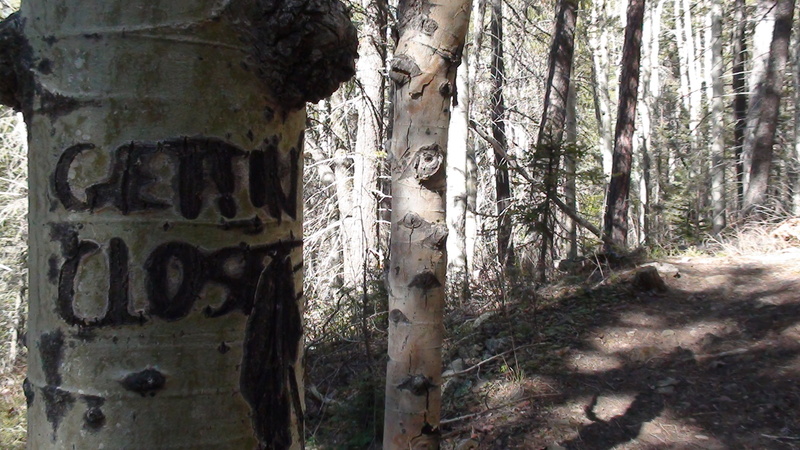 Lesson #8: When people make signs on a trail, ignore them. They fill your head with false hopes. Friday The 13th… Where Is That Rabbit’s Foot? No color touch up here, this is the real deal. I was at a point this weekend where I had no idea where to go or what I wanted to target. The rivers have been very low and it has been more and more difficult to stalk my prey. I went to a local shop to buy some fly tying material and ask around about some hot spots. Well, my personal choices were the San Juan, Chama, and Jemez. It was suggested to me to go to the San Juan. I like the place and all, but it was going to be VERY nice this weekend for weather and thousands of people were going to come out of the woodworks to get the good places. It wasn’t ideal to be fishing elbow to elbow this weekend. I opted out of big fish for some mountain fish. 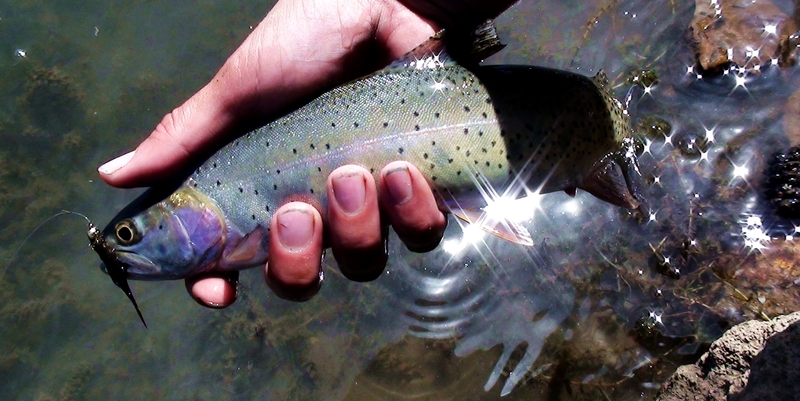 More specifically, Rio Grande Cutthroat Trout. Not those diluted ones either, some of the purest strained fish in the state. Along the way I stopped at Fenton Lake to get my line wet and haul in some stockers and test out the ties. Success! I caught the evening session and it went very well. So well, that I came up with a stocker fish on every other cast. When it became too late to fish after the actual sunset, I packed up and headed back to my car. along the way, I was attacked by a dog while its owners just stood there watching it take place. I thought it was just sniffing my leg and it bit down. Mind you this wasn’t a brutal type thing, I just kicked the dog off of my leg and moved on. The real problem came when the owner said, “Why did you just let him bite you like that?” I just about lost it. When I got back to my car I drove closer to my target destination to camp. The beaver ponds were full of these guys. I woke up and the temperature was floating in the high 20’s, the grass and mud were frozen allowing me to access some beaver ponds without waders. I hate hiking in waders. The fishing was good and it motivated me to press on toward my final destination. The sun was still hiding behind the valley and I found myself stopping in slivers of sun to warm up. Still very cold. 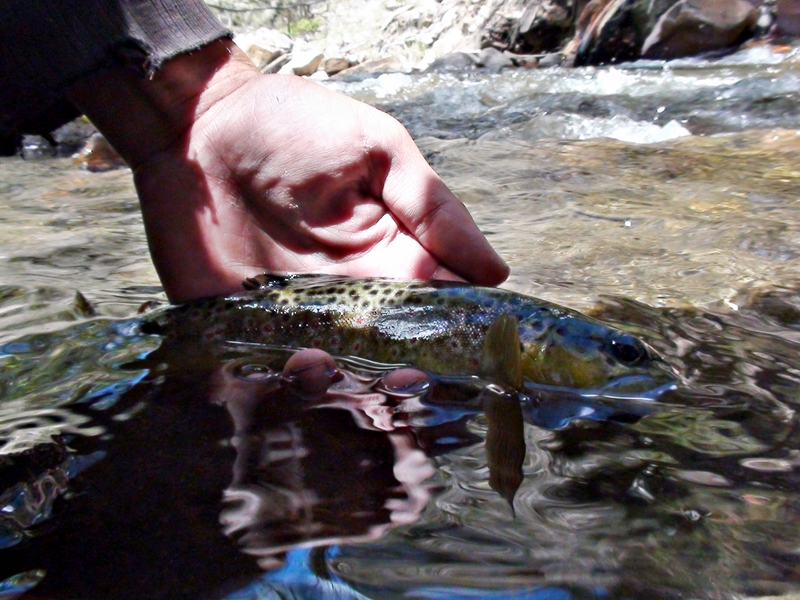 I could not wait to hook into one of the cutthroats and hiked at a speed just shy of running. There were going to be no monster fish this day, but it was possible. I made it. It took about an hour to find the right technique for catching these little guys, and another to time the strike perfectly. They only held the fly for miliseconds and they only gave me one shot. The day went well and zebra midge (that is a work in progress) worked great. I also made a friend while fishing. 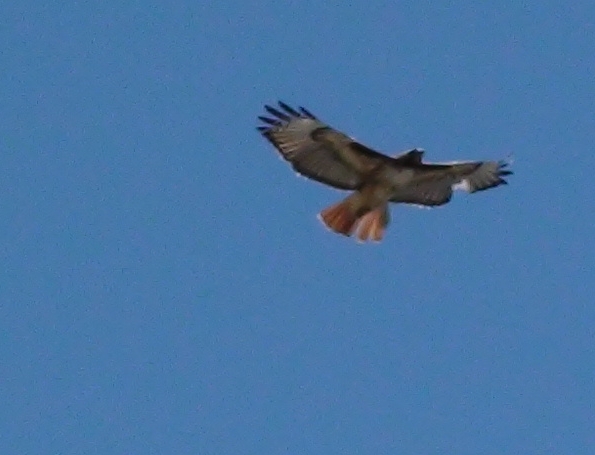 A Red-tailed Hawk that looked like he was in his share of bouts with other animals as did I on this weekend. Even though it was Friday the 13th and I was attacked by a dog, the hawk and I pressed on (even though I was uninjured and only came out with some torn pants, the hawk looked in worse shape). Throughout history man has created monsters in fable. Some of those monsters are personified in literary context based upon legends and such, while some are real genetically altered beasts. The thing we never see scare us the most. Seriously, if bigfoot was your neighbor, you would probably be exchanging apple pies and talking about the weather rather than allowing him to haunt your dreams. Unless your greatest fear is having bigfoot invite you to his BBQ. Even known species such as bears and cougars, while not being seen can still strike fear into you and keep you on guard. Even though fishing takes up a third of my life I still have an irrational fear of the water. If the bottom can not be seen, Nessie could be lurking somewhere, without an apple pie. Maybe I saw Jaws when I was far too young. 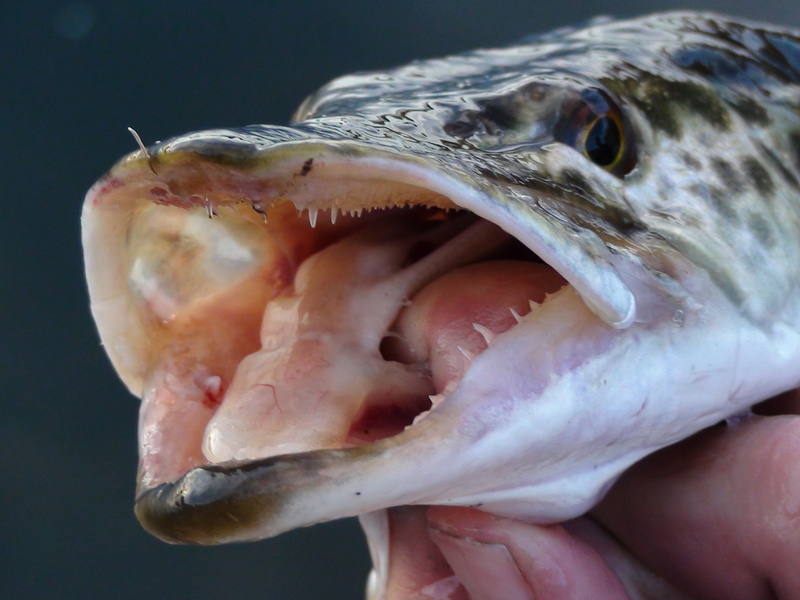 Toothy critters give me the heebie jeebies. Which lead my brother and I to a place which is known for it’s goldfish population until the arrival of the genetic mutant that is the E. masquinongy x lucius aka Tiger Muskie. Even smaller tigers can tear you up. 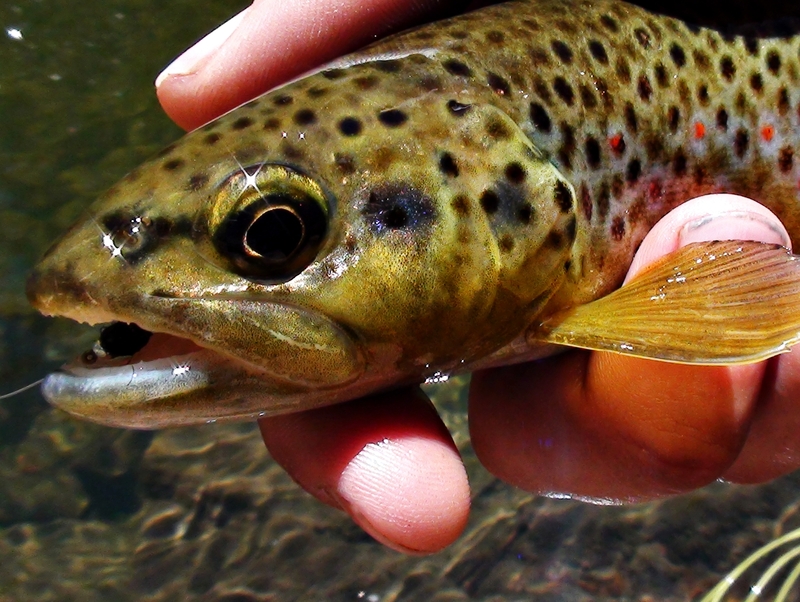 These mutants are among the funnest creatures in the world to catch. Almost no fear of humans and don’t know when to stop, wildly flailing and thrashing while you try to bring them. Swinging their razor sharp teeth in all directions and rolling as you try to get your hands around it without winding up with your arteries sliced open. The first day, I hooked up with the dream fish and lost it just as quickly. I could’ve cried. It wasn’t long before “accidental master angler” Nate answered back with a few of his own fish to hand. The smallest of Nate's fish, still a formidable foe. I’m aware that these fish were small, but the monster fish didn’t seem as active or as plentiful as they used to be. I pressed on, searching for the monsters while Nate was catching fish 2-3′ from the shoreline. Nothing to hand for 2 days on my end. I know the tricks, but the grass hasn’t grown back yet. For me, I’ll just hold this fish and hope for the best next time. I can pretend that I caught one. Surprisingly, an almost perfect 7pH. 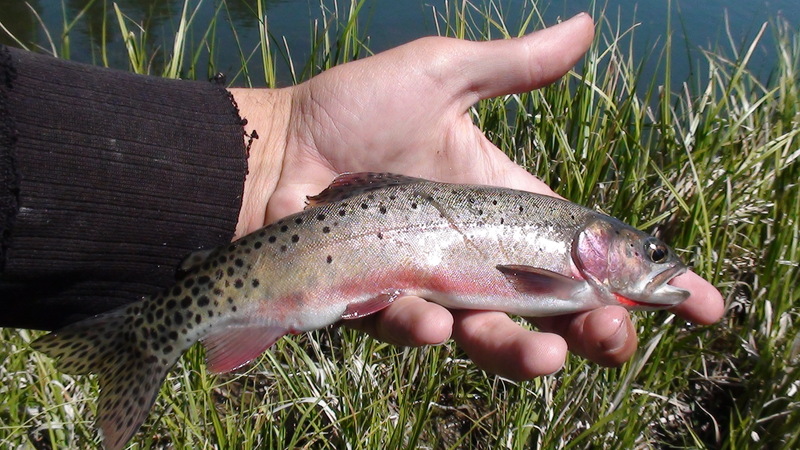 Hopefully it is widely known enough that Gila trout are located in the Gila Mountain range surrounded by the Gila National Forest. If you were one of the people trying to keep it a secret, I apologize for dropping the ball. You can also blame ESPN Outdoors and Field&Stream and countless other magazines and TV shows for doing it in 2008. Here I am in 2011, doing it again, stating the obvious. You can dig through countless studies on the Oncorhynchus Gilae Gilae and try to find more info on these guys (ongoing for over 50 years). 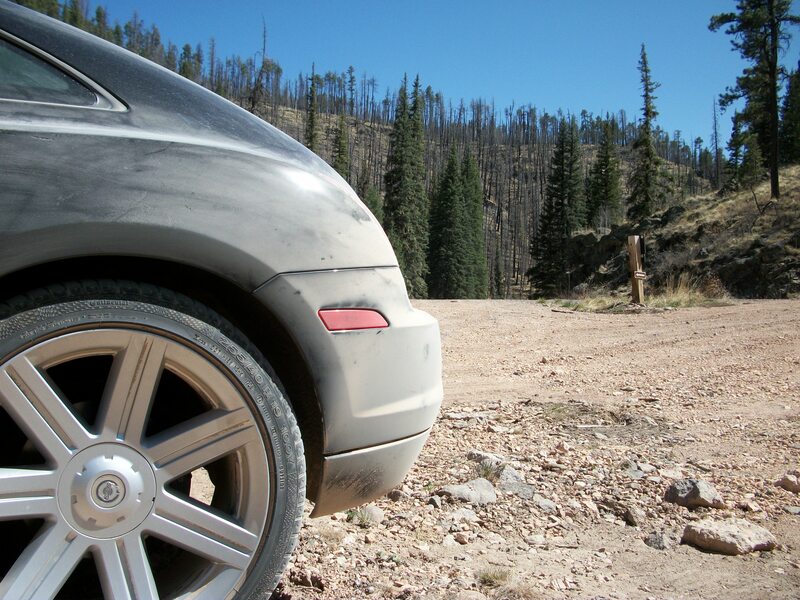 Be sure to check out NMDGF to get your permit and more details on where to go. Also, if you turn to Wikipedia it will tell you that they average 11″, be sure to check that reference because it will tell you that they grew to that size on a test area in Colorado. Isn't there supposed to be a giant snow fence? I had been studying the crazy weather patterns and there was a window of no wind or snow down south in the Silver City area. This was my target destination. Some of the coolest landscape on the planet earth. Driving south it is almost like you are driving from New Mexico to the bad part of Wyoming to a part of Colorado that is similar to the landscape on the Blue River north of Dillon. Did I mention that I love this state? The worst part of this drive are the dirt roads coming in. I’d really suggest a small truck. 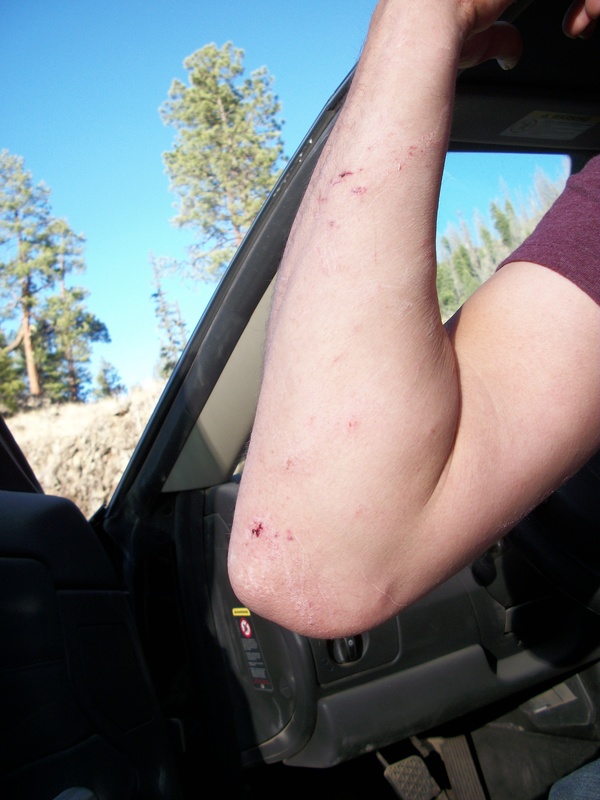 Within an hour of my arrival, I had already started the back country ritual by falling off of a burned log into a pile of rocks and through a thorn bush. The largest part of the injury was to my hip (not pictured for obvious reasons). Despite the injury I pressed on. The water was extremely low and clear. Lots of feeder creeks were dry and the fish were very spooky. It is hard to lay down a 50′ cast when you have lots of vegetation covering the best holes. 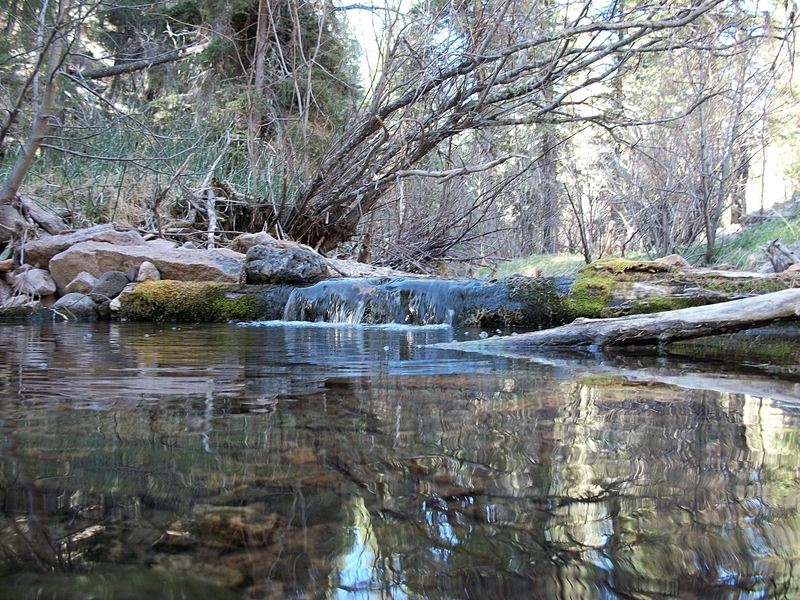 I could even see fish darting around in the pools when I was hiking the trail. I could tell that catching the Gila was a bit more than what I bargained for. I am very adaptable in these situations and it isn’t a strange occurrence to see me crawling on my hands and knees to get to a good hole in the back country, but in a military low crawl? This was my first time laying on my belly for fish, a very humbling experience I might add. 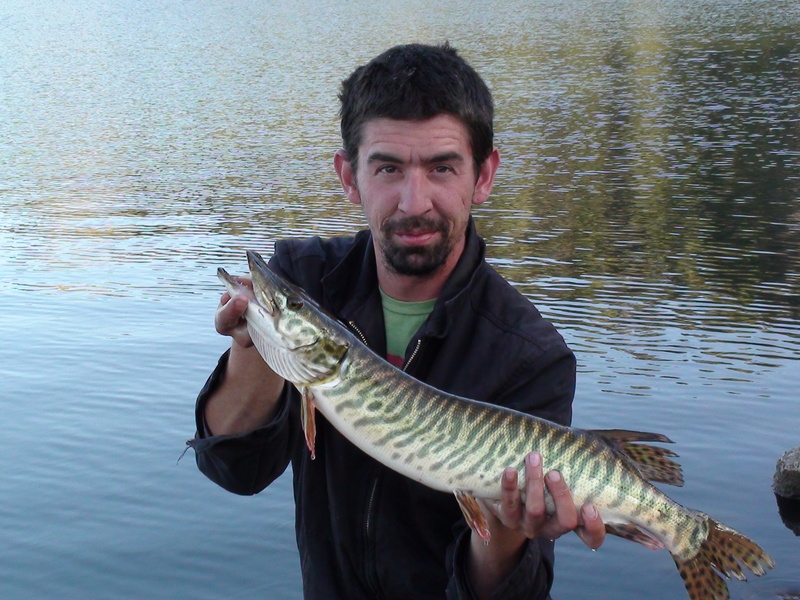 It payed off and in no time I was into the 3-5″ fish that resided in the area that I was fishing. One thing very noteworthy here, know your fish in the water. 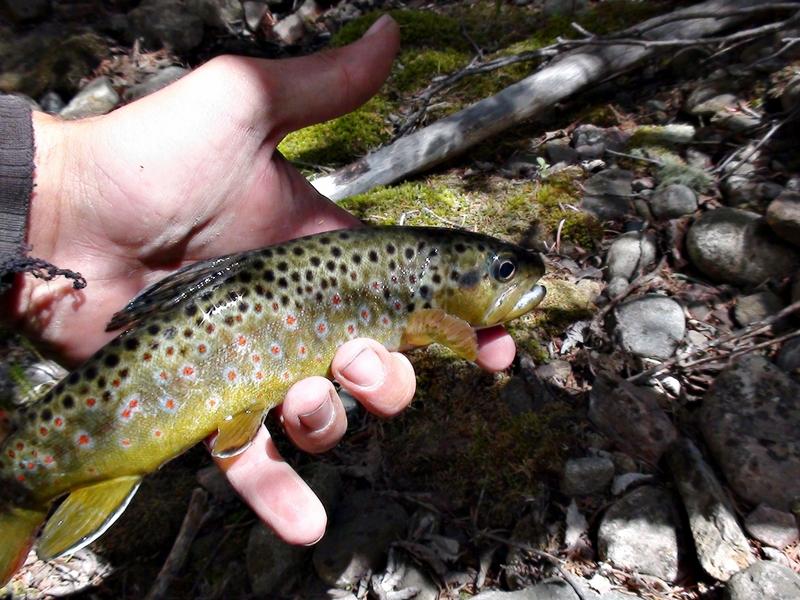 You will see some monster sucker fish, but do not confuse them with trout. It is my assumption that due to the number and size of the suckers, the trout are forced to be dedicated surface feeders and that is why they are small. This river is perfect for fish and it is only missing one thing. Water. Huge bugs everywhere! In this picture there are 3 golden stoneflies and a ton of other bugs, including some sealed caddis cases, and some other undefinable ones. 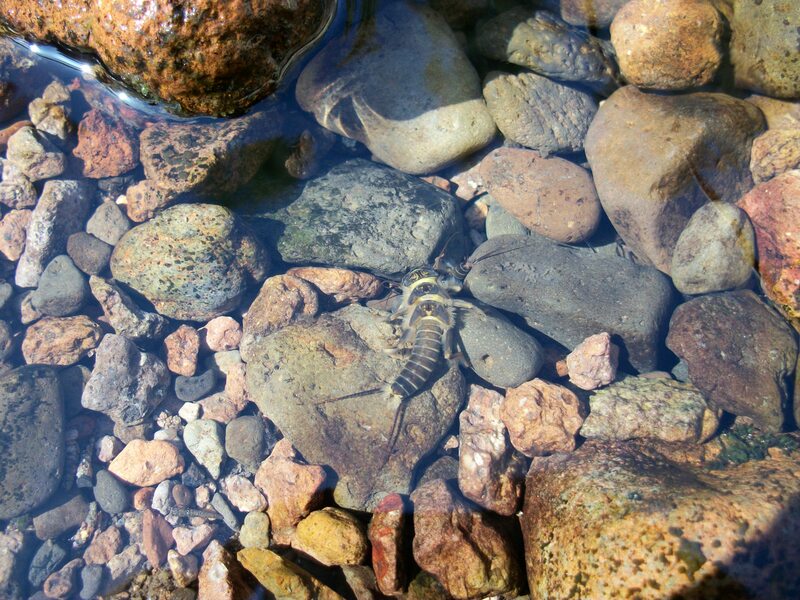 Throwing a giant golden stonefly nymph was a very bad idea for these conditions, so I stuck with the caddis, a foam-back version that payed off more than a few times in Colorado and New Mexico high country. 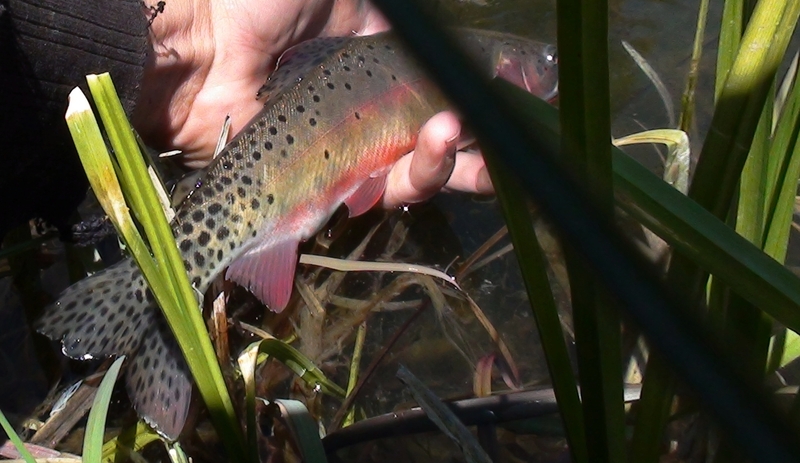 Rule: That which catches brook trout and cutthroat trout on the surface in the same day shall be added to the fly box. 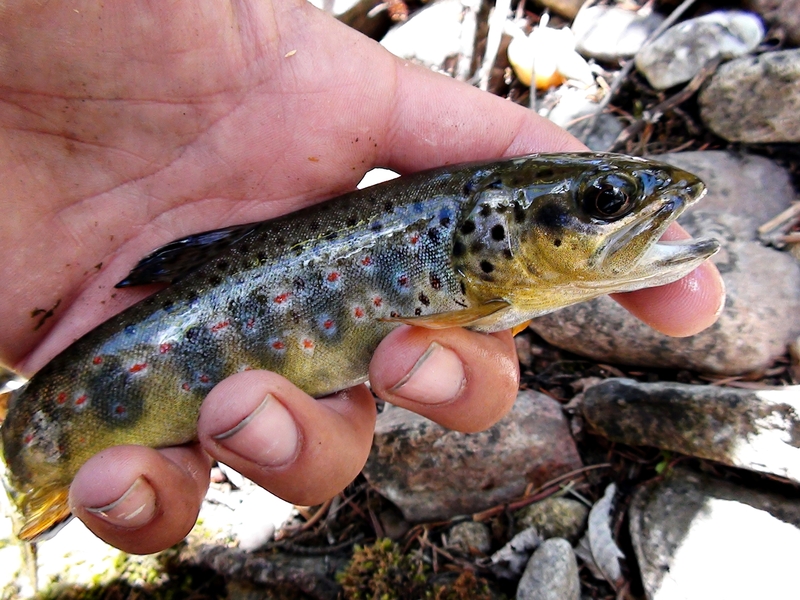 Let us get one thing straight, wild trout are very gullible but difficult to find and exceedingly difficult to bring to hand. This monster of a fish (you can’t type sarcasm) is not actually a gila, but it represents one well as it is a hybrid, I think. Some suggest that the gila was before the evolution of the rainbow. 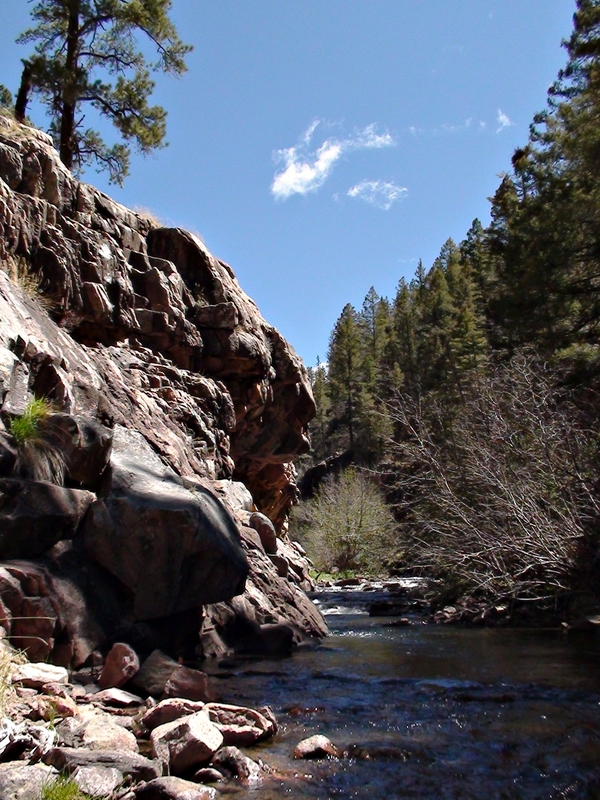 The strain of gila also changes from the east to west. Far west=Apache, Far east=gila. Supposedly, there is a lost strain in between the 2. I’m not saying this is the lost strain, but the coloration may change based upon environment. I’m still going with hybrid. Boy do they fight like the dickens! 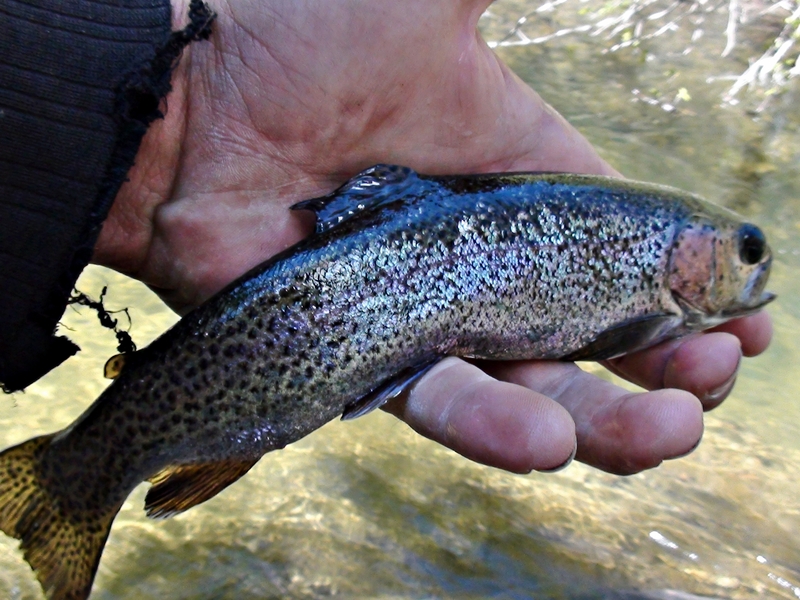 Rainbows jump, cutthroat go deep into current, browns just… yeah, brook flail, and gila trout randomly and quickly dart around in search of cover. They are fast and strong and well worth the trip if you know where to go. Keep in mind these fish may go back to endangered status at anytime with one big fire. Be extra careful if you are allowed fire in the area and take special notice of fire danger warnings. Did I mention high country carp? Something I didn't expect, but a good change of pace. Lesson #7: Blow dryers come with a warning label that states, “Do not use in shower”. There are no warning labels in the wilderness that protect you from bad choices.